Employment | Claresholm, Brooks, Bow Island, Lethbridge, Fort Macleod & Coaldale Ford Dealer | College Ford Lincoln Ltd. If you're looking for a career, your search is complete. College Ford Lincoln has a great history of providing excellent career opportunities for sharp, energetic people. We offer an excellent benefits package, and a great working environment. 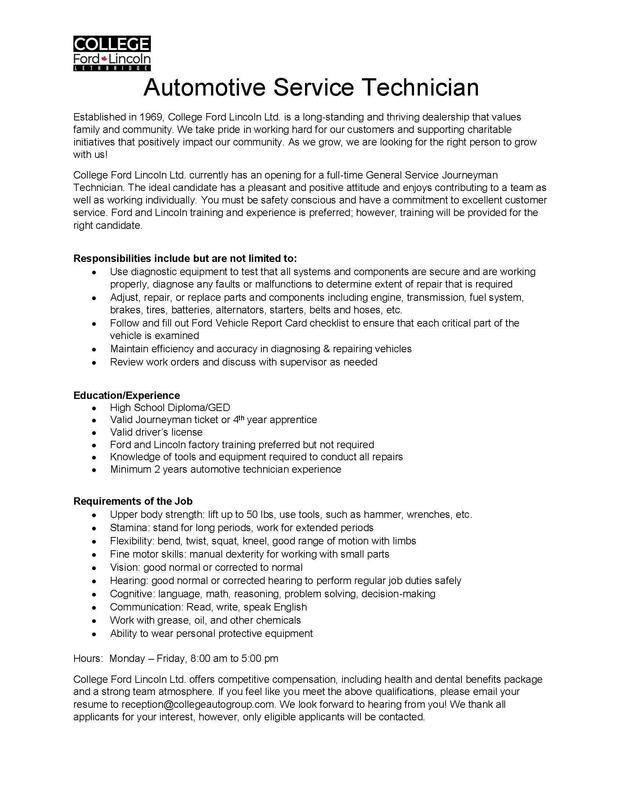 Please forward your resume to reception@collegeautogroup.com. All eligible candidates will be contacted. Thanks for considering us in your employment endeavors!